As a recognized guitar specialist we have a team of expedience staff on hand to help with any questions no matter how big or small. 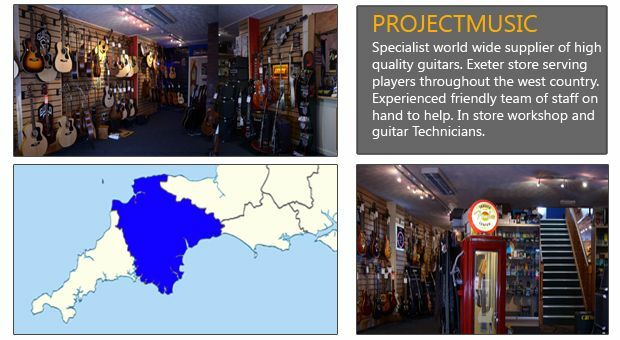 From complete beginners to touring Pro and session players, we are here to help. Our large Exeter city center showroom and workshop is open Monday to Saturday ( although we do close most bank holidays ). We are also available through extended times of the day via email and our web site. If you find your self in or near Exeter please drop in and say hello. 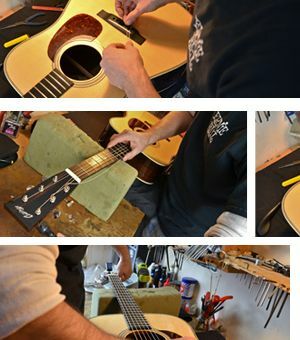 Our guitar workshop sets up all of our guitars to ensure they are playing and performing perfectly. Our guitar technicians would be happy to provide a custom set up if you have any particular way you would like your guitar to play. Local customers who have instruments that need servicing or repair are invited to contact us or to drop in store to have an chat about the instruments needs.